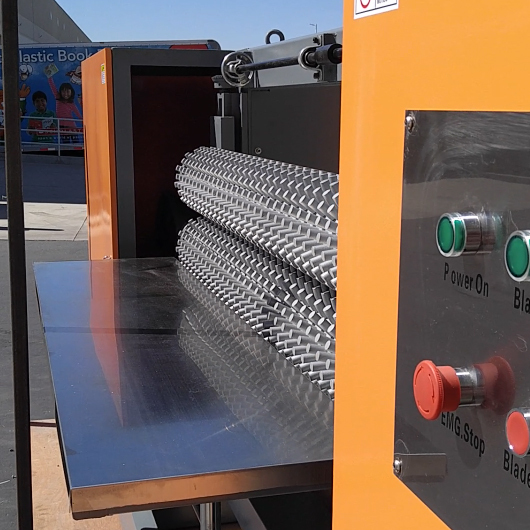 Our CONVOLUTER FOAM CUTTING MACHINE is a top quality and affordable machine made in America. Used to create an egg crate foam for a mattress topper, car seating, packaging for electronics, delicate instrument, valuable goods, glasses and even for soundproofing. The Convoluter machine is widely used in different industries. This machine is easy to operate, heavy duty has adjustable speed and precision cutting system. Convoluter machine is capable of cutting sponge foam continuously and producing different designs or patterns because of its roll splitter. 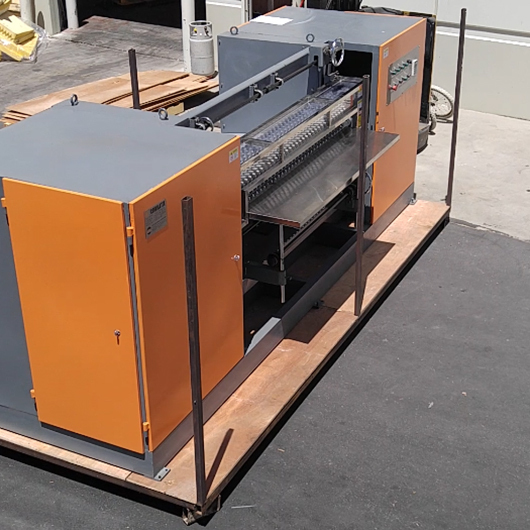 We ship Convoluted Foam cutting machine to customers worldwide with other machines like clicker presses, waterjet cutting machines, hotmelt coating machines and industrial robots. We also offer a 1-year warranty on all new machines.